Yesterday, I went on a lovely walk with my dad to Abersoch. 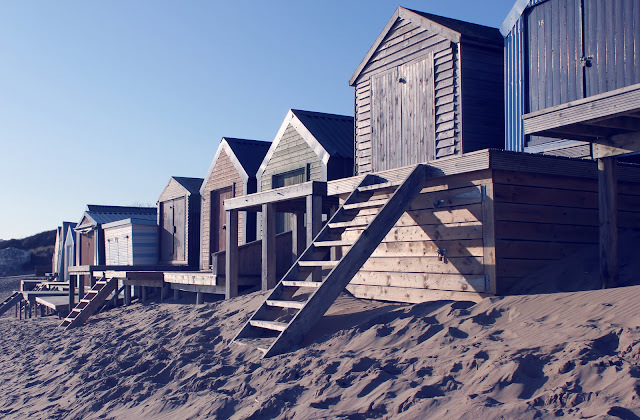 I had never previously been to Abersoch, and somehow I had my hopes up for the beach and the surrounding area in general. For us, it was approximately an hours drive, and on a lovely sunny day like yesterday, it was perfect (although it had been very cold first thing in the morning.....Minus two in fact! And as you can see the condensation on the windows this morning had built up quite a lot!) 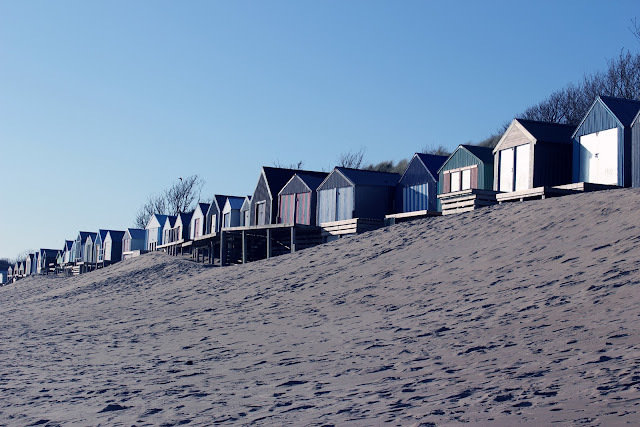 I don't really want to spoil my perception and initial thoughts about Abersoch because I'm currently writing a visitor guide on a lot of places around north Wales as blog features, but lets just say it had its good points and its bad points! Oh, and someone had left some cute little bucket sand castles along the wall which I thought was adorable too! Lovely images! Really captures the winter sunshine. You always take such beautiful photos Fiona! I love beach huts too, they're so cute all lined and painted different colours.